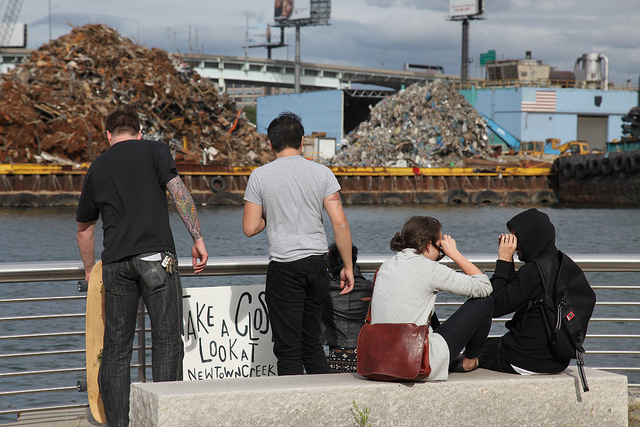 TRYST’s River to Creek: A Roving Natural History of North Brooklyn was a participatory research project and art action that was designed to draw attention to the geographic and ecological connections across the industrial landscape of North Brooklyn, from the wild empty lots at the end of Newtown Creek in Bushwick to the East River at the edge of Greenpoint. 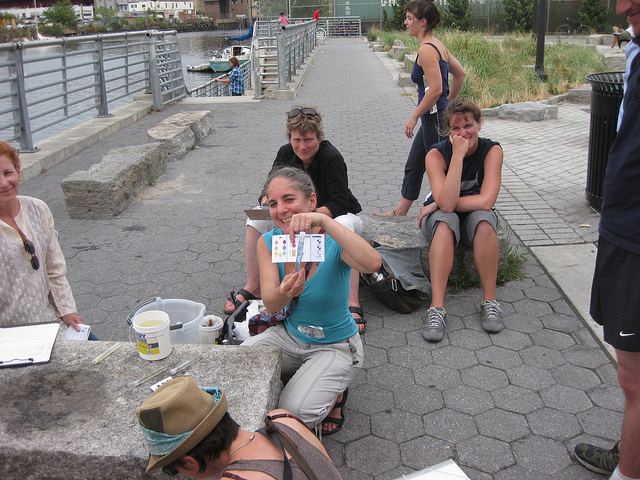 It was a collaboration between marine scientist/dancer Carolyn Hall, ecologist/visual artist Kathleen McCarthy and members of TRYST. 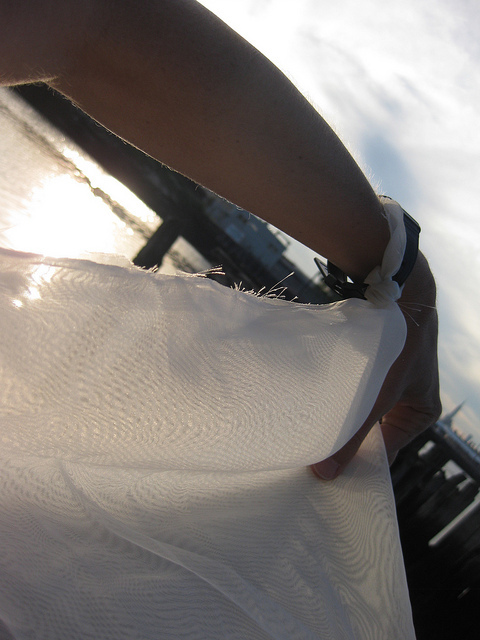 River to Creek was formed through the iLAB Residency at the Interdisciplinary Laboratory for Art, Nature and Dance (iLAND). 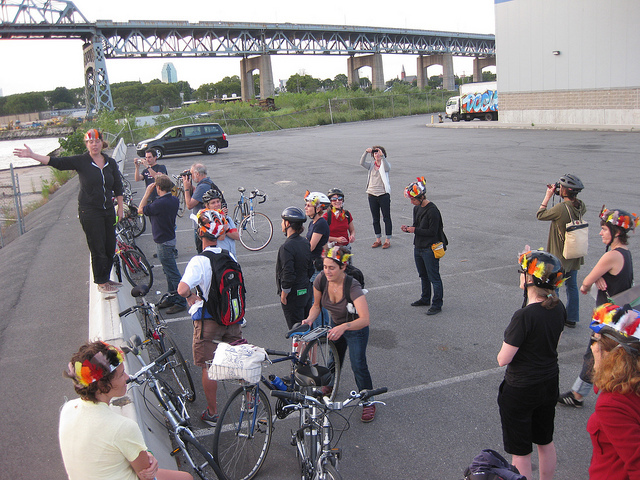 River to Creek held three participatory research tours—one on foot, one by the water, and one on bicycles. 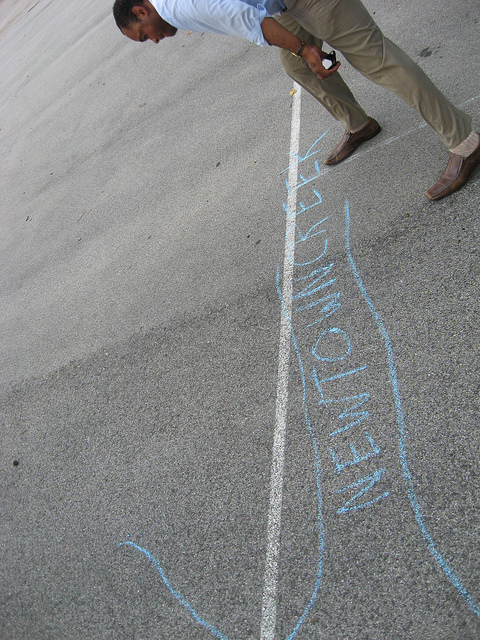 Each tour addressed a different element. 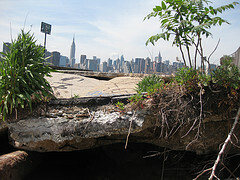 On foot we discussed earth—the history of the land, and flora both current and historical. By the water we discussed water—analysis of the water’s composition, fish life present and past, and the ways in which the creek has changed. 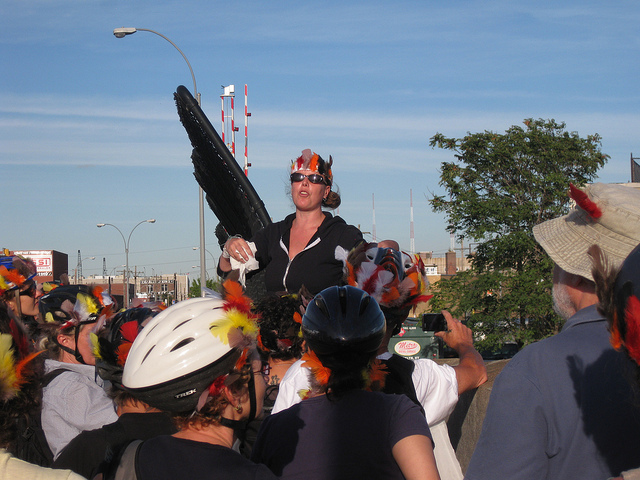 On bicycles, we discussed air—birds, pollution and the future of the land around Newtown Creek. 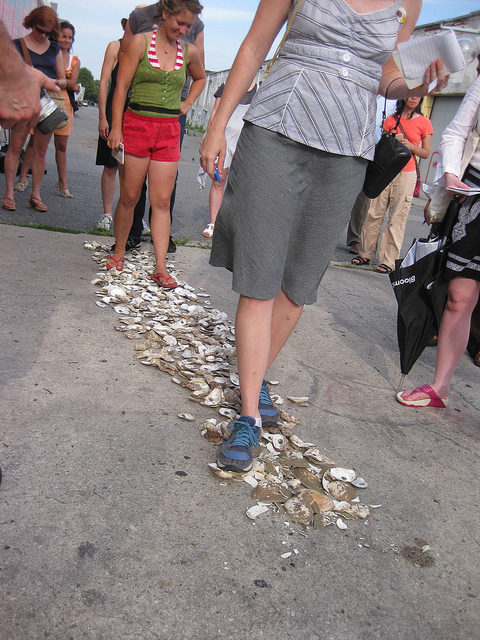 Our final event, which took place at the Nature Walk at the Newtown Creek Wastewater Treatment plant (a unique environmental sculpture by George Trakas), we reprised many of the activities from our research tours (take a walk with a portable swamp, learn to feel like a fish or a bird, feel the crunch of shells underfoot in the oyster midden) and added a few new ones, such as ecological charette, where we invited everybody to help in imagining the future of Newtown Creek. We also presented an overview of our data and observations from our summer of independent and group research. 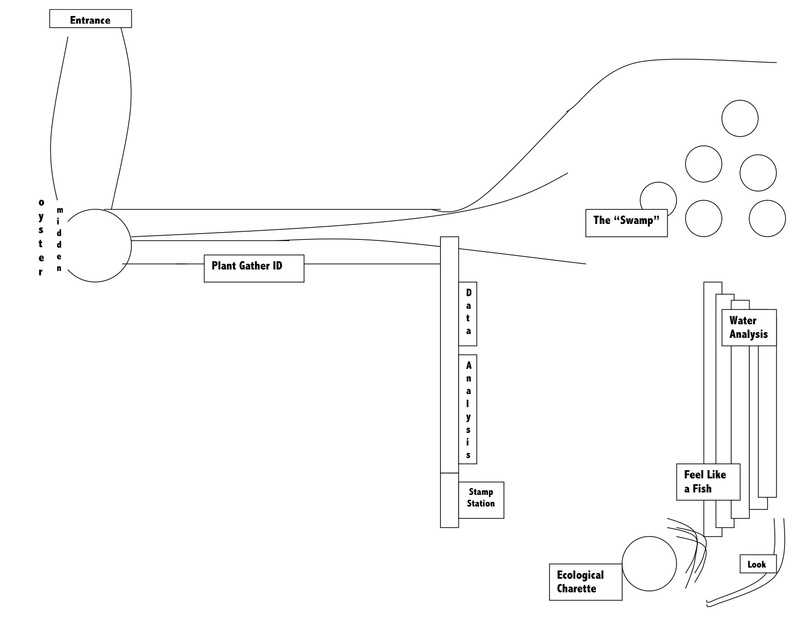 Map of the final exhibit at The Nature Walk.